Know the power of No. It’s easy to give in to your dog because they’re so cute! But no-one likes being around a dog who’s always barking or jumping up. We all need keeping in check at times. That includes your four-legged friend. Training basic commands and curbing those bad habits can be a fun experience for both of you. And you get to spend more quality time with your furball. First you’ve got to learn to think like a dog. Get to know what they’re thinking. What are they really saying to you through their posture, body language and noises. Dogs are intelligent creatures. You’ve got to exercise their mind as well as their body. 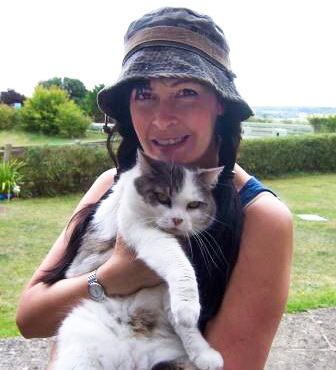 This course has been written by professional veterinarian Dr Pippa Elliott. She’ll show you how to train your dog in a loving way. Dogs train better when they’re praised and given rewards for being good. That’s exactly what you’re going to learn here today. Think of this as a super bonding exercise. You'll get to know how dogs learn and, therefore, how to train your dog without making them nervous or scared. With patience and rewards, your dog will respond to your every command. You can teach your dog to sit. Teach your dog to stay. And so much more! Clicker training dogs takes practice. Once you’ve mastered the training exercises in our flexible online course, your dog will be as good as gold at home and on walks. All animals have their funny little ways. 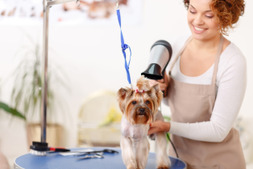 But constant barking, jumping up, begging, pulling on the leash or digging can be stressful. 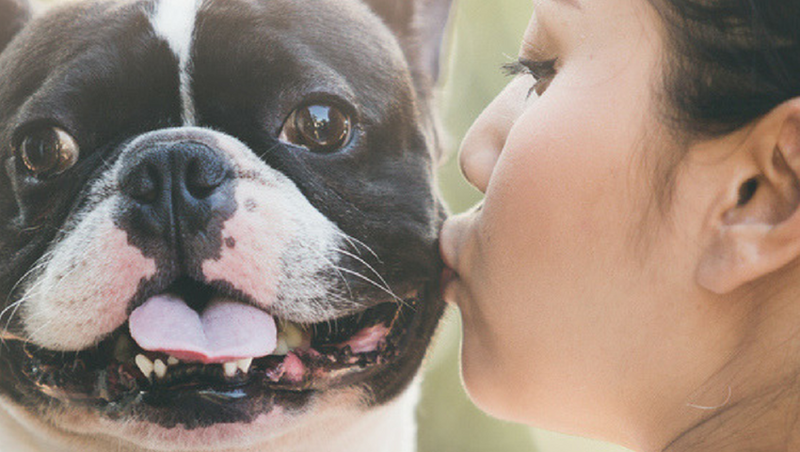 You’ll find ways to ease your dog out of these bad habits so that life with your dog is more Zen. More fun. Much calmer. Now you’ve mastered the basic dog training techniques, it’s time to conquer the advanced training exercises. No more picking up and drooling over other people’s shoes. No more scavenging for food. Your dog will even know when to bark and when not to. Know how to stop dogs from biting. All this is achievable through your command of dog training. Your dog will be happy, confident and safe. No more picking up strange objects on walks or pulling in all directions. 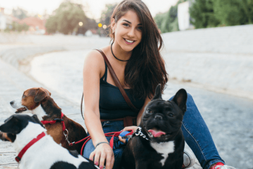 That means you can relax when your furball is around other people or leave him with a pet sitter or dog walker without any worries. Your dog will be hanging on your every word when you know the right way to train, exercise and have fun time together. 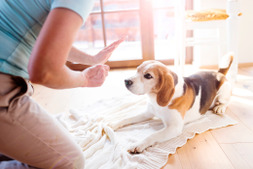 You’ll find ways that motivate your dog to be good. Find exercises to boost the brain and the body. Then we’ll show you ways to relax. Our accredited courses can be studied at any time from anywhere. You decide when you want to learn some more. Be the best parent possible for your furballs. Start learning today so you can begin training with your dog. Dog guardians who strive to be the best pet parent ever. Understand your dog better and spend hands-on, quality time together so he’s happy, healthy and good!